"In our army there was no other unit, tactically and logistically self-reliant and self-sufficient, with such great amount of very different equipment and specializations (several dozen). Artillery, infantry, machine guns, sappers, tanks and draisines. 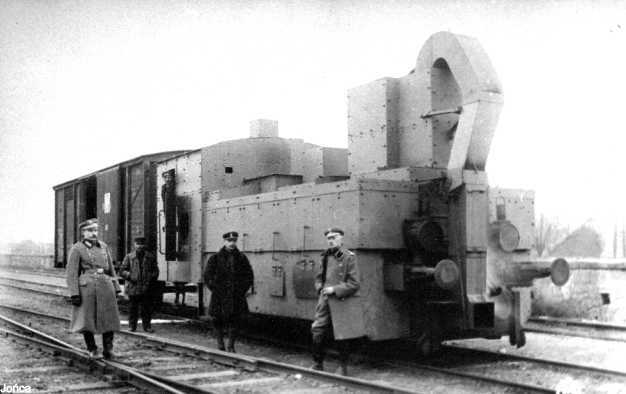 Liaison (radio, telephone, signalling), railways - repair workshops, stock (administration, logistics)"
This page is devoted to little-known subject of the Polish armoured trains. As we were starting in 1999, there were very few publications on the Polish trains, mostly quite old, all of them partial or too general, so we had to reconstruct the trains' compostion and service from partial information, often contradictory. Our work was often pioneering, with a help from friends throughout the Internet, and later also from Polish researchers. The situation improved somehow only in the second decade of the 21st century – they became more popular subject and new facts and photographs were revealed, but still there are no reliable publications to cover all the subject of Polish armoured trains. Therefore, the information on these pages sometimes may not be most correct – this is only a hobby project, maintained in a free time, without own research of source documents. We are still looking for new photos and information so that we can improve the pages. Due to lack of time, updates are not frequent recently, but the pages will be updated according to newest state of knowledge in the future, so be sure to check the newest versions (see what's new). "Poland had only a few armoured trains, but their officers and soldiers were fighting well. Again and again they were emerging from a cover in thick forests, disturbing German lines"
- from the history of Wehrmacht: "Wie das Gesetz es befahl"
The Polish Army had ten regular armoured trains in 1939, and all took part in World War II. At that time, they carried numbers only, despite they are commonly known under their older names. The pages describe also their earlier and further service. 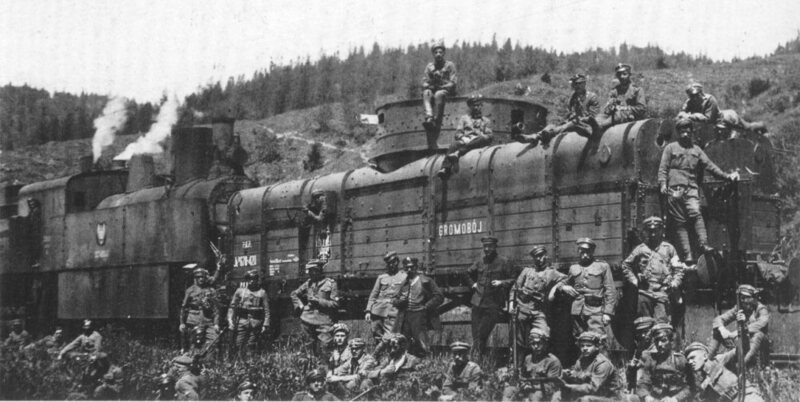 Armoured trains Nr. 11 "Danuta" and Nr. 12 "Poznańczyk" and a walkaround gallery of train Nr.12 - new 8. 2. 2019! Armoured train Nr. 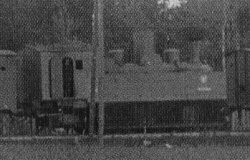 14 "Paderewski"
Armoured train Nr. 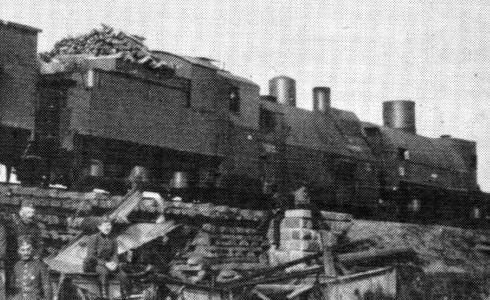 51 "Pierwszy Marszałek"
Armoured trains Nr. 52 "Piłsudczyk" and Nr. 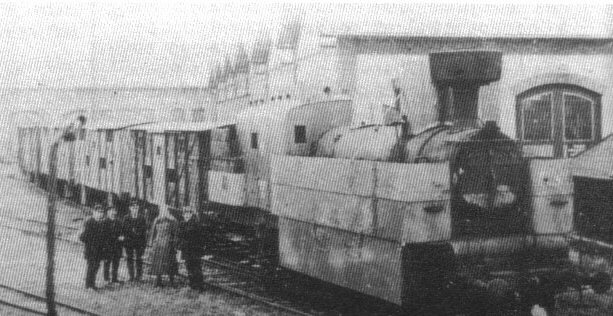 53 "Śmiały"
Armoured train Nr. 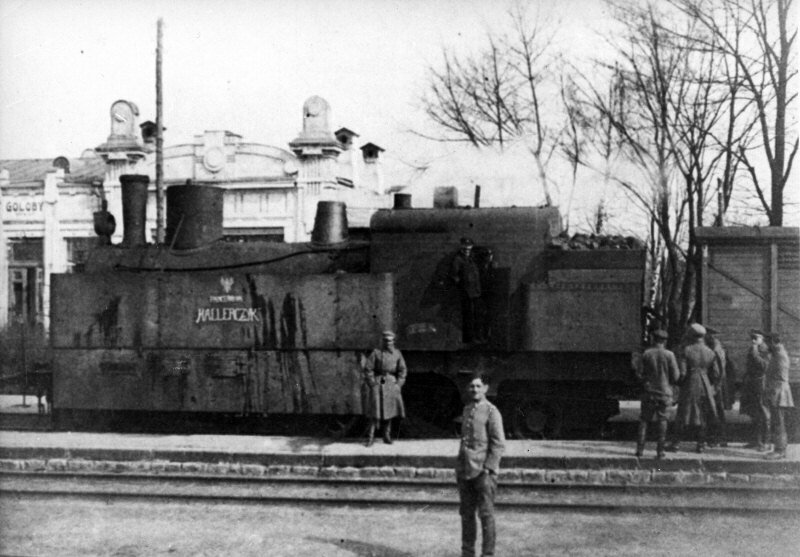 54 "Groźny"
Light armoured train Nr. 55 "Bartosz Głowacki"
"...in spite of falling darkness, the armoured trains were still running on the line, causing losses to Red artillery regiments without any break". 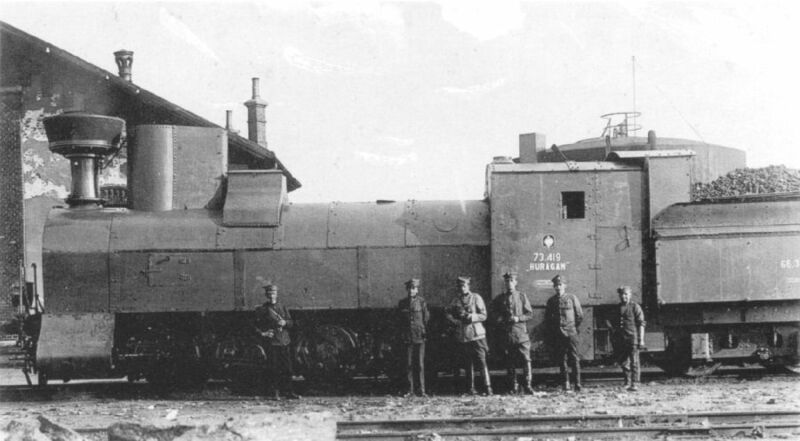 Exact number of Polish armoured trains in 1918-1921 is not known; there were at least 80 armoured trains constructed in Poland and about 30 captured ones. Apart from numbered trains, there were also non-numbered improvised or freshly captured trains. 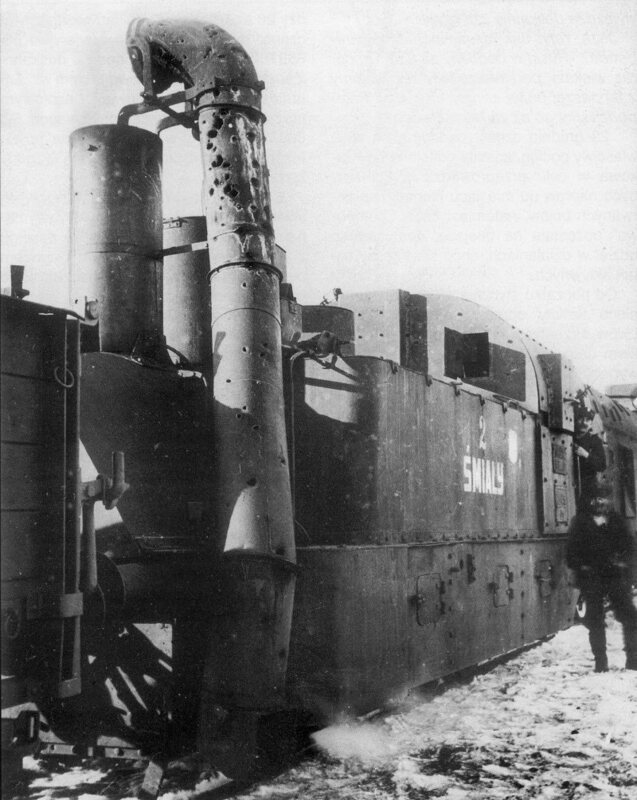 In some cases, along with Polish offensive to the East, crews of standard-gauge armoured trains would operate captured broad-gauge armoured trains, known under their "parent" name, with "-szeroki" (wide) adjective. Therefore, the list is not a complete one. In bold are links to trains not described in a section above. These pages are dedicated to the memory of Janusz Magnuski (1933-1999), great Polish expert and researcher of armoured weapons, especially armoured trains; author of numerous books and articles published also as "James Grandsen".